Hoppers Crossing (Melbourne) youngster Dylan Hollis may only be nine years of age but he already knows his way around the race track. 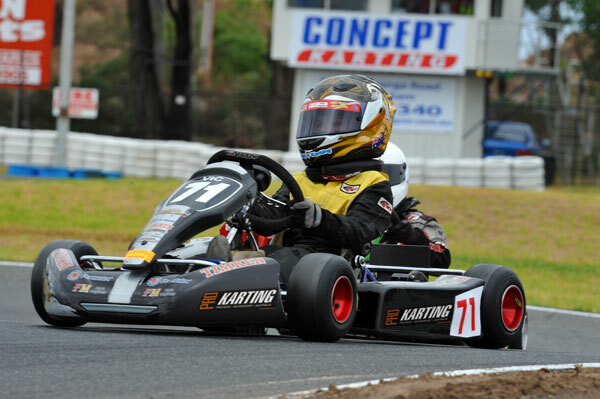 Since making his debut behind the wheel two years ago, the Grange Primary student has rapidly developed into one of State’s brightest young karting prodigies and was last year crowned the Victorian Karter of the Year (Midget) by the Victorian Karting Association. This weekend Hollis will face the toughest challenge of his young career when he lines up to compete in the Victorian Championships at the home of the Go-Kart Club of Victoria in Port Melbourne. It is here where he is aiming to add his name to the list of winners at the Victorian Championships, which includes the likes of Jamie Whincup, Mark Winterbottom, Alex and Will Davison – all of whom have gone on to become V8 Supercar drivers. 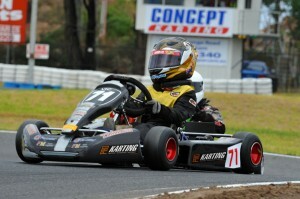 “I had a great year last year winning the Victorian Closed Championships (only Victorian residents are eligible) for the second year running, winning the All Stars Series and being crowned Victorian Karter of the Year – now the only thing missing is an Open Victorian Championship,” said Hollis, who is supported by Pro Karting and competes aboard an Arrow Kart. While Hollis competes in the Midgets category, for drivers – both boys and girls – between 7 and 11 years of age, his older brother Andrew will be battling for the Junior National Heavy title (drivers between 12 and 16 years old). With their two youngsters competing, Marc and Krissy Hollis admit they do get nervous but mainly because they want to see them succeed. “We both get pretty nervous, especially when they race into turn one, but that is only because we want to see them do well and it’s no fun when you spin out and have to watch from the sidelines,” said Marc Hollis, who is a former motocross racer. “We put all of our effort in so they can enjoy the sport, we don’t put any pressure on them – it’s more about the enjoyment of the sport that we all enjoy as a family. An added bonus from the sport for the Hollis parents is the fact that both youngsters are already learning a lot about car control and driving techniques – well before they are old enough to obtain their road licence. “It’s great that the boys can have an opportunity to learn a lot about driving techniques in a safe and controlled environment while also gaining an understanding that the racetrack is the only place that speed limits don’t apply,” said Hollis. The Hollis boys will take to the track tomorrow for practice ahead of qualifying on Friday followed by heat races on Saturday and the Championship Finals on Sunday. With more than 350 entries from all parts of the country being received across the 16 categories for the event, the racing will come thick and fast all throughout the weekend.